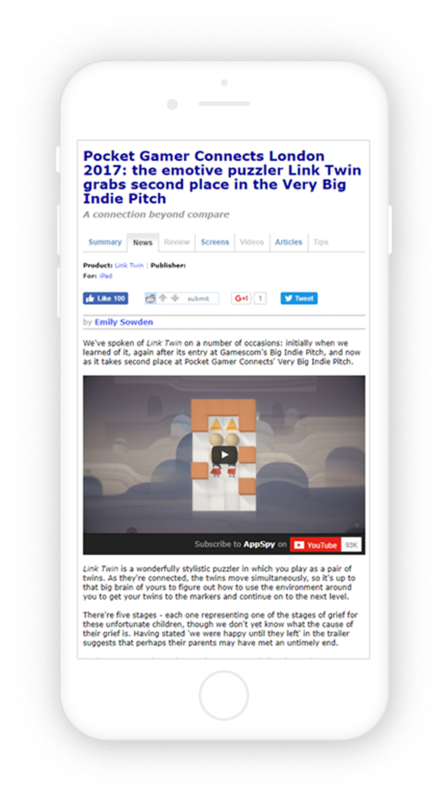 This is the story of how a team of restless indie developers prototyped a new game concept, spun out new studio to develop it and won a critical award upon release. There’s nothing like the feeling of looking at the very first creation as it starts kicking beneath the white sheet. With a gasp, we found ourselves screaming ‘It’s alive, it’s alive!’. 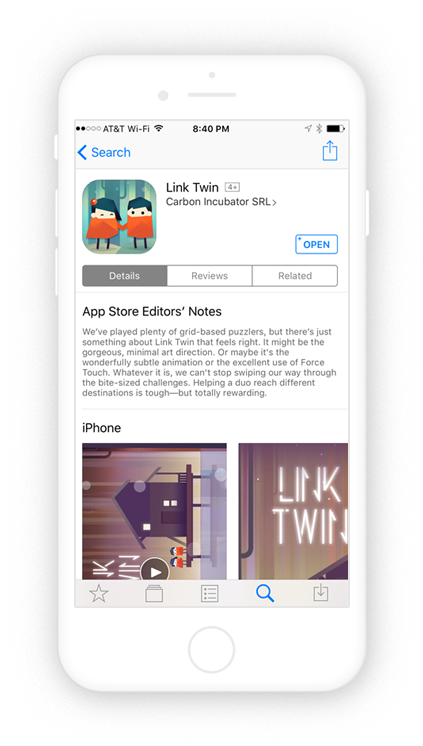 We wondered at how stylish it started to look as the bits and pieces started fit together… Link Twin was born. 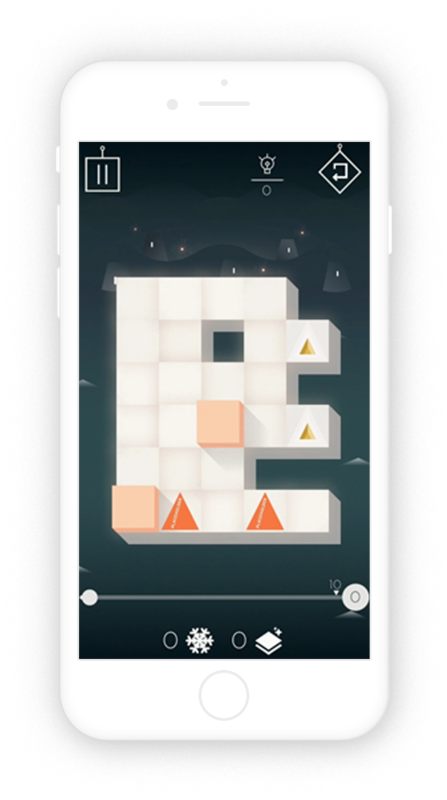 With visually stunning art, catchy mechanics and haunting sounds out of this world, we’ve created an amazing puzzle game that told a story not many would tackle. 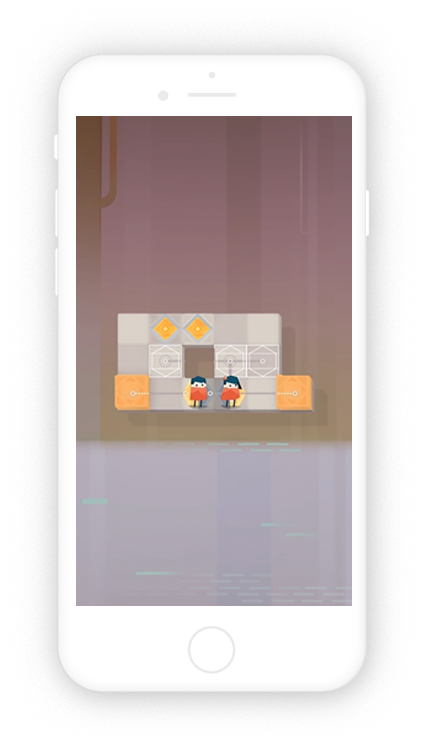 For this creation, the laboratory was a game jam session at Amber, in January 2016. A very small team of passionate people brainstormed and, using Unity, implemented the first working prototype of the game in just a few days. This prototype had all the core gameplay that would later go to market. 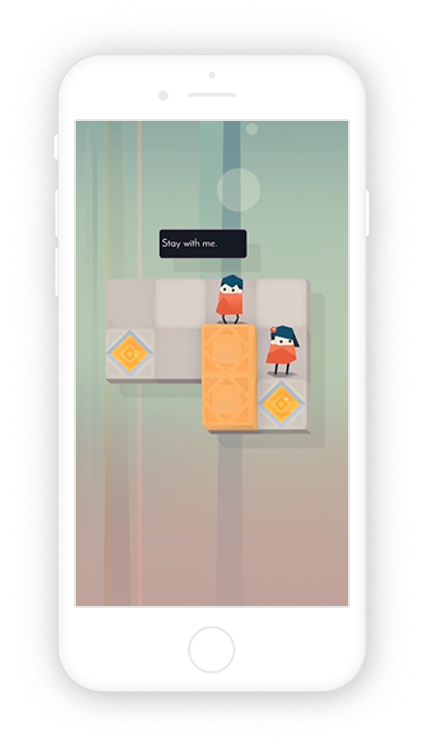 After the basic mechanic was in place, many months were spent getting the puzzle elements just right, polishing the art and crafting the worlds that Tom and Lily would journey through. Our creed is that games are the place where science is fused with art. The level progression is built around Jesse Schell’s Rational Game Design principles but there’s also a strong influence of the narrative. For example, most Anger levels are quick and snappy whereas Depression levels are long and brainy. What we use to describe Link Twin is “a meditation on loss”. Loss comes in many shapes and forms but it always involves solving a puzzle: the puzzle of coming to terms with yourself and your newfound state. Link Twin is just that: the depiction of dealing with that puzzle in a form of a game. The story is a key component of this mediation but in no way did we ever set out to make a game that delivers a narrative alone; that is to say, it’s not about the story of the game but about the game as a whole. Per se, Link Twin is an expression of the puzzling loss. 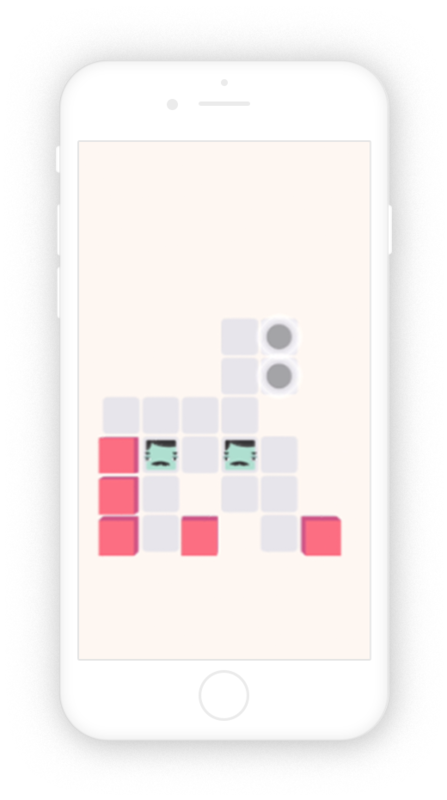 Moreover, there’s a strong influence of Minimalism in this game. We set out looking to build an experience that is about the essence of things. This cascaded from gameplay to story, music and eventually the whole game. Minimalism inspires loneliness and that’s only one step away from loss. And this is how everything ties together. 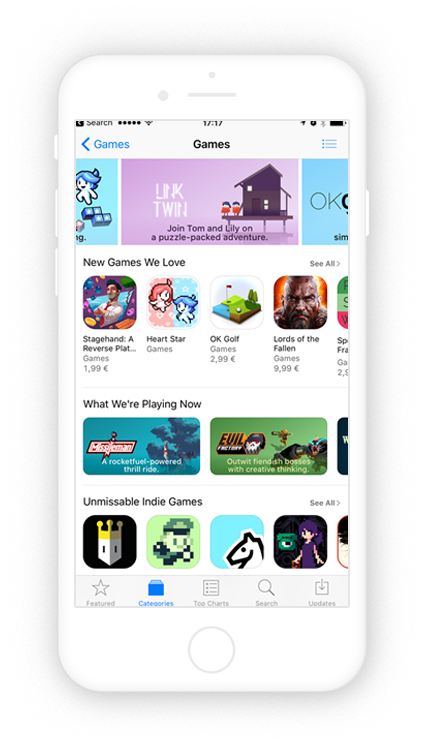 We originally launched Link Twin on the Samsung Galaxy Apps store and received over 150 000 downloads in the first 3 months. We gathered great feedback from our users, tuned our difficulty curve, and designed a brand-new storyline for our adventurous characters. 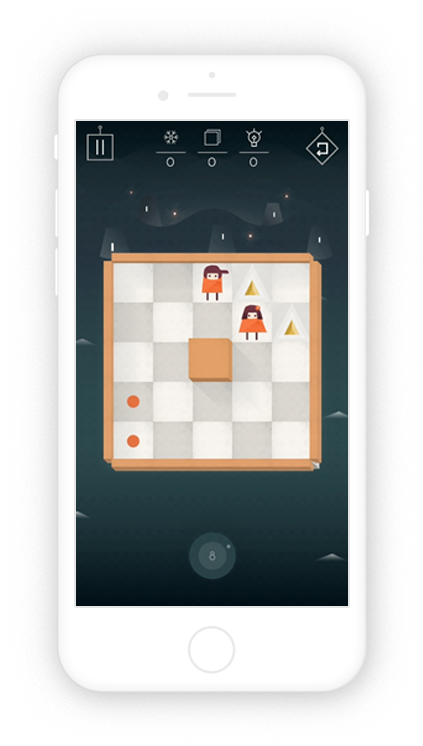 We also decided to switch to a premium business model for the game – it just fit our game better and let our users enjoy the narrative without interruptions. 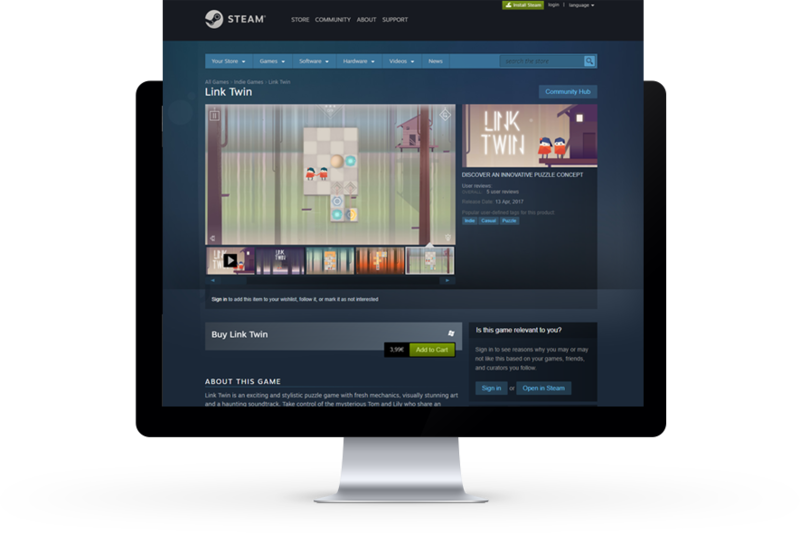 Two months later, in April 2017, Link Twin made its first foray outside the mobile world with a Steam version. It was enhanced in many ways to fit the new platform – higher-res, better graphics, controller support, Steam Cloud & Achievements.